You can admire the town's history and present from the terrace of our restaurant or you can enjoy the atmosphere directly, strolling in the streets of the medieval town. 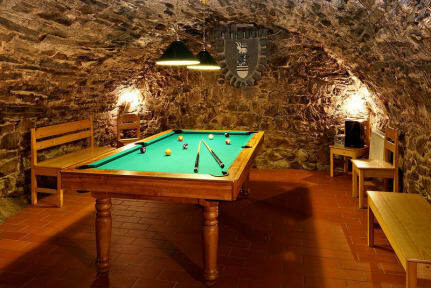 Our boarding house is located in the yard of the chateau in Cesky Krumlov. Each of our rooms has its own shower and toilet, satellite TV and fridge.